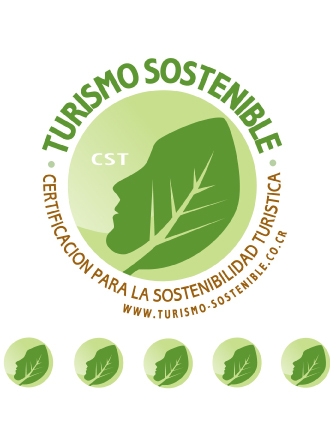 Since 2011 the Hotel has established a relationship with the nearby communities, especially San Luis and Santa Elena. We have contributed with different initiatives that encourage cultural and social development, natural resources conservation as well as health especially with the Association of Development of San Luis and the Santa Elena Cloud Forest Reserve. We are part of Monteverde´s Environmental Education Commission (CEAM) since 2015 and work together in issues involving education and awareness of the community towards its surroundings. Trapp Family Hotel also collaborates in specific projects through the Monteverde Community Fund, which channels efforts in different areas and ensures its effective progress. Monthly financial contribution for the operational maintenance of the Health Center of San Luis. We have supported the Bajos de San Luis School by helping them meet their waste management goals of the Bandera Azul Ecológica Plan. We participated in the creation of the SOCIARTE committee, as a part of the San Luis Development Association. Support the Community Rural Tourism Program. We sell locally grown coffee “Café Florencia” and locally made cosmetics “Cosméticos Monteverde”. Reforestation program in Los Olivos School in collaboration with The Santa Elena Cloud Forest Reserve. Greenhouse construction for Los Olivos School. Donation of 2 cameras for mammal monitoring program of Santa Elena Cloud Forest Reserve. Collaborated with the Vacation Fair 2016. Active participation during the planning and implementation process of “Ecological Tales” Project. Continuous participation in activity coordination of CEAM. Participation in the World Recycling Day Activity. Active participation in the Environmental Day Fair and Vacation Fair 2017. Bookmark Project: 2016-today. The Hotel is a collection site for the Monteverde Community Fund. For each $USD our guests donate, we donate the same amount!. _During 2016 we collaboratated with a project that has the goal of building local capacities among young people in Monteverde. Quick Accesss Funds: we donated to the Quick Access Fund to support recreation, sports, art and culture activities in the Community. We also donated funds to the Bellbird Biological Corridor and the Friends of the Library Project.